Note: Make sure your cursor is in the message box to perform these shortcuts. Slack is a set of team collaboration tools and services. Slack no longer uses an IRC backend but still offers IRC like features: persistent chat rooms, private groups and direct messaging. 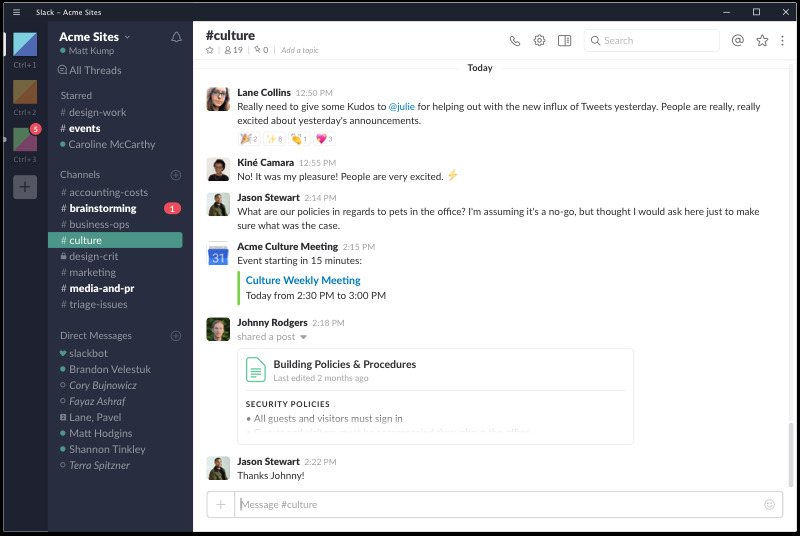 Slack allows all content to be searched including files, people and conversations. What is your favorite Slack hotkey? Do you have any useful tips for program? Let other users know below.